A SOC is a major component of a company’s GRC operations, as well as a critical IT center. But having your own SOC means more than just employing a couple of analysts to read log files. Do you know what kind of budget and expertise you’ll need to have if you decide to build your own SOC? 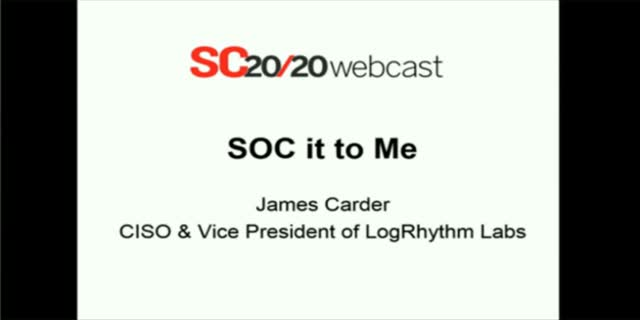 In this webcast, James Carder, LogRhythm CISO and VP of LogRhythm Labs, discusses the decision-making process you’ll need to go through before you build your own security operations center (SOC) and the impact it will have on your organisation. Watch now to learn the factors that go into planning for, building, and maintaining a modern SOC.